A few weeks ago, Stephen Ellis touched on the strategy of pitching backward at his great blog StevenEllis.com. Pitching “backward” relies on the concept of “fastball counts” or “batter’s counts”– in other words, 2-0, 2-1, 3-1, 3-0. Any batter worth his salt is going to be looking for a fastball when he is ahead on the count, for two reasons: first, most pitchers are going to throw the fastball on those counts between 90-95% of the time; and secondly, a well-timed, flat fastball in a batter’s “comfort zone” is the easiest pitch to hit. So in order to pitch backward, you as the pitcher would throw something other than a fastball in those “hitter’s counts” — the idea being that you will fool the hitter and/or throw off his timing, because he is gearing up for your fastball. 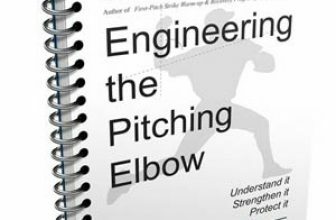 However, it’s not as simple as it sounds, and a lot of young pitchers abuse the concept of “pitching backward”, to the point where it becomes ineffective for them. For example, tou can’t pitch backward every time you fall behind on a batter — or else it’s no longer “backward”. Instead, you need to pick the right spots, against particular batters, in certain situations. One of the keys to successfully pitching backward is throwing a good change-up. The reason I love the change-up when behind on the count is because, if you throw a good one, it’s going to look exactly like a fastball to the hitter when it comes out of your hand. You should be throwing it from the exact same release point, with almost the exact same spin, and with almost the exact same arm speed. 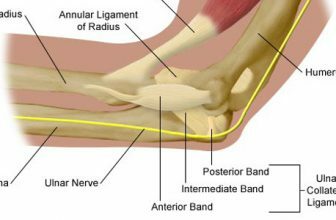 Many pitchers mistakenly throw sliders or curveballs when behind on the count, and there are two problems with this. First, a breaking pitch spins differently, comes in at a slower speed, and is often thrown from a different arm angle or release point, than the fastball. All those factors give the batter a better chance of identifying it as a breaking ball early and laying off the pitch — after all, he’s ahead, and has the luxury of taking a strike. Second, the goal of breaking pitches — particularly the slider — is to entice the batter to swing and miss. This result doesn’t offer you the full advantage of the backward strategy. Rather, you want the batter to swing and HIT. Seems crazy, right? But the idea is this: you’ve already fallen behind by throwing two or more balls. Trying to strike the batter out at this point is not an efficient strategy — unless your plan is to either tire your arm out earlier than necessary, or bore your fielders to tears. Therefore, you need to grasp the fact that a three-pitch groundout is just as effective as a three-pitch strikeout — both result in an out, and require the same amount of effort. The next thing you need to know is WHEN to throw backward. As stated earlier, you don’t do it every time you fall behind on the count. How to know when is the right time depends mostly on how your changeup moves, and what hitter is at the plate. For example, when I coached in college, I had a little lefty who threw a great change-up that died down and away from righthanded batters — almost like a screwball. Whenever he pitched against a particular team that was loaded with righthanded dead-pull hitters, he’d get as many outs on a 2-0 count as most pitchers get on 0-2. When ahead on the count, these batters were gearing up for the leftfield fence, and he’d float dying quails that started out in the middle of the plate, but then dropped just enough so that the bats caught only the top half of the ball. The batters looked like their eyes were popping out of their heads as the pitches were coming in — I swear I saw one salivating. However, their timing was thrown off just enough, and the location just right, so that the ball didn’t go over the fence — in most cases, the batter grounded meekly to the shortstop. Now, had that same pitcher thrown that same change-up to a lefty batter on a 2-0 count, the result would be quite different. The movement of his change would float right into the lefty’s “kitchen” — down and in, and if the batter was able to adjust to the speed, he’d likely golf the ball several hundred feet down the rightfield line. Ideally, a pitcher can throw two changeups — one that runs in, and one that runs away. In reality, few pitchers have that kind of command. But, if you are able to consistently hit both corners with a change-up, you will get more outs on 2-0, 2-1, and 3-1 counts than 95% of the pitchers in the world. Watch Tom Glavine sometime and you’ll see a prime example of how to get outs when behind on the count. Excellent post, Joe. 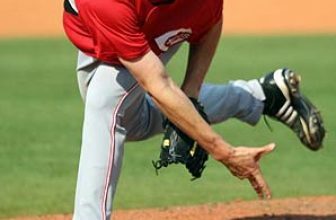 There’s no question that throwing changeups will effectively allow pitchers to put this strategy to use, which is why every pitcher must have a good one they can throw for a strike!